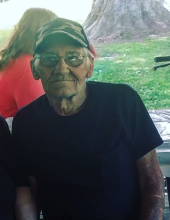 Carl Lee Walters, 73, of Apollo, passed away on December 19, 2018. He was born May 30 1945 and the son of the late Oliver and Hetty Barr Walters . Carl was a self-employed auto mechanic for many years. Carl had a true passion for the outdoors, he loved to Hunt, Fish, and Garden. He was an amazing man who always had inspiring advice for his children. He is survived by his loving wife of 50 years Judith Jones Walters, a daughter Erin (Donald) Schulze of New Bethlehem, three brothers Dale (Margaret) Walters of Apollo; Jack (Sharron) Walters of North Carolina; Floyd Walters of Texas, two sisters Dorothy Thornton of Texas; Linda Gohn of Elderton, three grandchildren Debbie (Jeff Robinson) Ruediger of TN; Jesse Walters of Apollo; Melanie Schulze of New Bethlehem; four great grandchildren Roy; Alisha; Olivia; and Brooklyn. In addition to his parents he is preceded in death by a son David Walters, a daughter in-law Rhonda, two daughters Kathy Ruediger and Carla Danastasio, a granddaughter Destiny, three brothers Harry, Neal, and Oliver and four sisters Hazel, Leona, Joan and Virginia. Family and Friends will be received on Friday December 21, 2018 for a visitation from 11:00 am to 1:00 pm with a service at 1:00 pm at the Janette L. Gamble Funeral Home Inc. 2842 River Road Vandergrift, Pa (724) 567-7006. Online condolences may be made at Gamblefh.com. To send flowers or a remembrance gift to the family of Carl Lee Walters, please visit our Tribute Store. Family and Friends will be received on Friday December 21, 2018 for a visitation from 11:00 am to 1:00 pm at the Janette L. Gamble Funeral Home Inc. 2842 River Road Vandergrift, Pa (724) 567-7006. Family and Friends will be received on Friday December 21, 2018 for a service at 1:00 pm at the Janette L. Gamble Funeral Home Inc. 2842 River Road Vandergrift, Pa (724) 567-7006. Online condolences may be made at Gamblefh.com. "Email Address" would like to share the life celebration of Carl Lee Walters. Click on the "link" to go to share a favorite memory or leave a condolence message for the family.